Risk Is Back In Style And The U.S. Indices Are Approaching All-Time Highs. Early trade on Wall Street has been chaotic, following a surprise drop in the University of Michigan Consumer Sentiment Index (April). 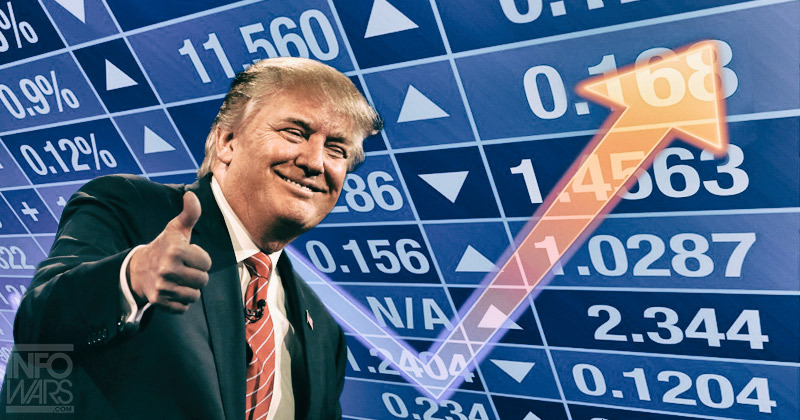 A strong early bullish rally is being momentarily held in check, with the DJIA (+235), S&P 500 (+17), and NASDAQ (+30) trading just off of session highs during the first hour of trade. Aside from the UM Consumer Sentiment Index (April), it is slated to be a relatively quiet day on the U.S. economic calendar. However, participation has spiked following the lagging UM figure (96.9) which came in beneath both projections and the previous release. This is likely only a speed bump in today’s rally, but may prove to be a turning point in sentiment. Stay tuned. Following two sessions of modest action, June E-mini DOW Futures have mounted a furious early-session rally. Nonetheless, the dynamic is rapidly changing following the sluggish UM sentiment figures. 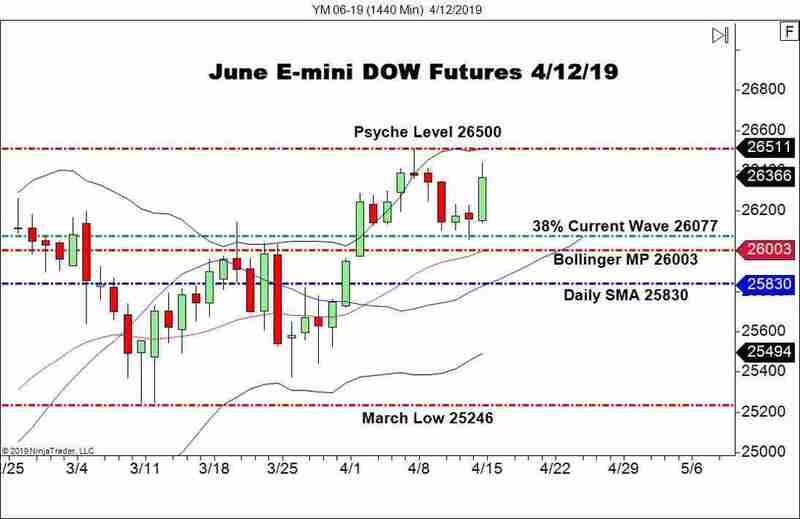 Overview: In a Live Market Update from yesterday, I outlined a long trading plan for the June E-mini DOW. If you missed it, check it out here. Prices put in a hard test and rejection of a key 38% Current Wave Retracement level (26077). Since then, the bulls have stepped up and dominated the trade. Today’s close is going to be a pivotal one for U.S. stocks. If we see the strong action continue following the negative UM Sentiment Index, then the indices will be in a position to challenge all-time highs early next week.